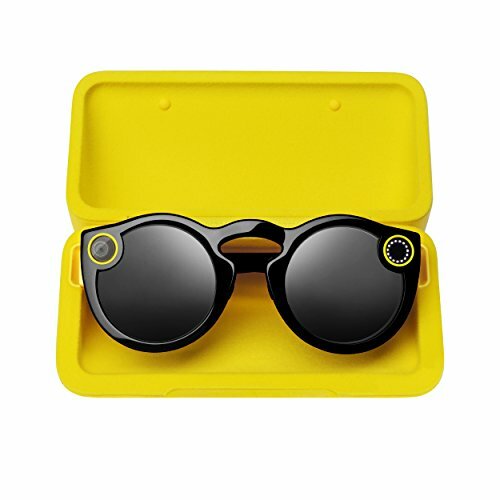 Now you can get Your own Snapchat Spectacles delivered the next day!!! The Full Package: You'll receive a new pair of Spectacles, a charging case, a charging cable, a cleaning cloth, a quick start guide, and info about your 1-year warranty! 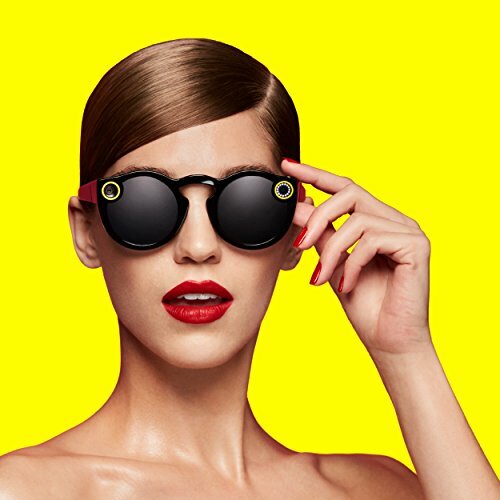 You may remember hearing about these Snapchat Spectacles last year. You may have even seen someone wearing a pair at some point and wondered where to get them. That’s because, up until now, they were only available in certain locations via pop-up stores or vending machines. 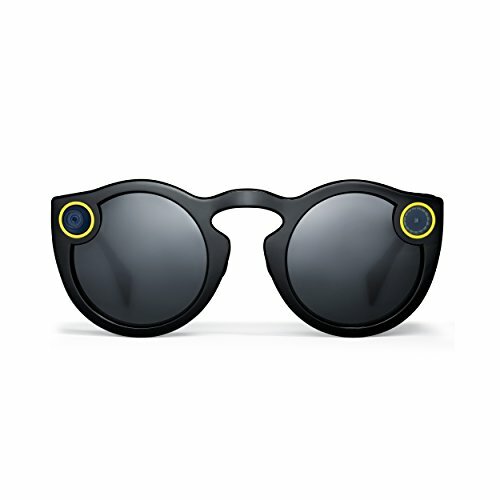 If you haven’t heard of them before, they’re a pair of shades which have an integrated camera that makes it very easy to Snapchat your day away. All you have to do is look at something and tap the button over the left temple. Well, now that thee hype as blown over, they’re trying to restart it by making them available for everyone to order online. Available in three colors (namely black, coral, and teal) they cost a pair $129.99 on Amazon. Each pair comes with a carrying case that doubles as a portable charger. 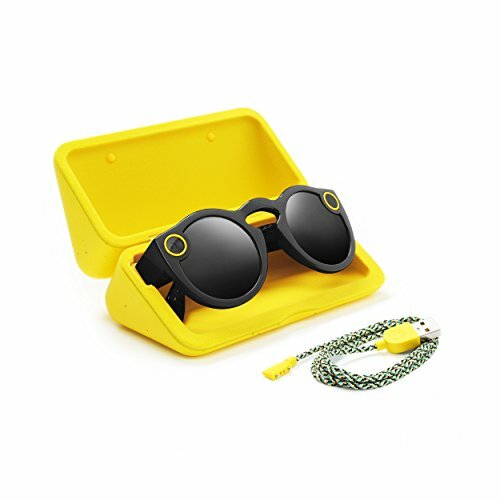 The built-in battery can recharge the sunglasses up to 4 times. 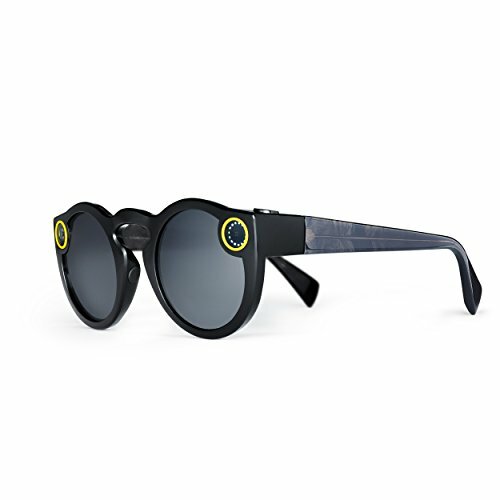 Once topped off, the Snapchat Spectacles can take about 100 pictures or several short video clips. The HD video clips can be captured in segments of 10, 20, or 30 seconds. Once the pictures or videos are captured, they can be automatically uploaded to Shanpchat through your mobile. Maybe that’ll change now that everyone can get them….. or not. Dimensions: 3.8 x 7.2 x 3.8 inches. Video: Can capture 10, 20, or 30 second videos. You’ll receive a new pair of Spectacles, a charging case, a charging cable, a cleaning cloth, a quick start guide, and info about your 1-year warranty! Kind of makes you look like you have bug eyes.